Check out to Crock-Pot.com where you can still grab these these very highly rated Crock-Pot Lunch Crock Food Warmers for just $33 shipped! That’s like paying just $11 per lunch warmer delivered right to your door (regularly $29.99 each)! Even better, there are six color options available. 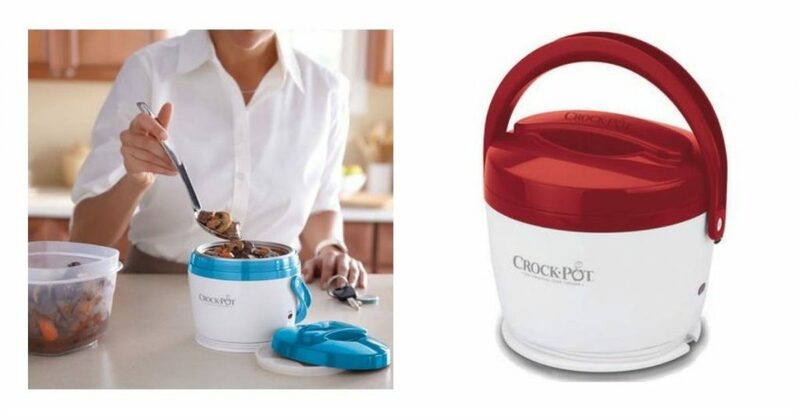 That makes each Crock Pot lunch Warmer just $11 shipped to your home and you can choose from six different colors including blue, red, blue/black and black! That is a great deal, I’ve ordered the three in different colors. Hopefully my husband and two sons can use them, if not I think I have ordered three Christmas gifts for family members who I know will be able to use them.